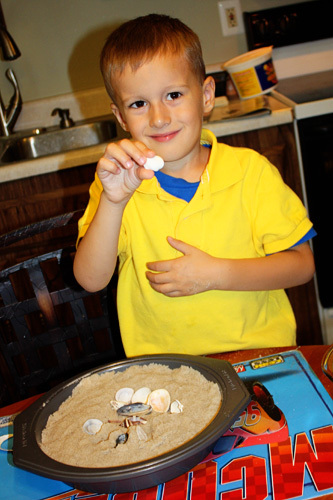 When we took Nathan to Gulf Shores on his 1st birthday, and when we took Autumn 2 summers ago, I collected a bag of sand for each child’s first beach trip along with seashells we had found on the beach or purchased. 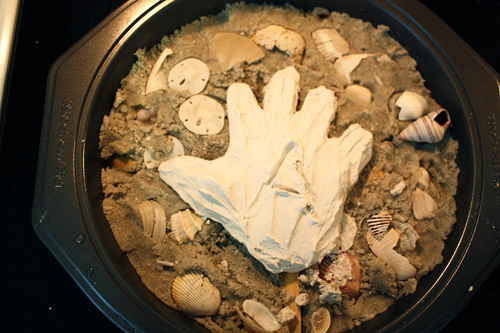 I saw this AWESOME craft where you make a molded hand out of sand/shells in Family Fun years ago and ripped it out to do with the kids as a keepsake of their first beach experience. I started a blog where I have 100 things I want to try to get done this summer, and this was one item on the list (because its something I’ve been wanting to get to but haven’t!). So, this last weekend we FINALLY did the craft. And, WOW they loved it! Might have been their favorite craft EVER!!!! 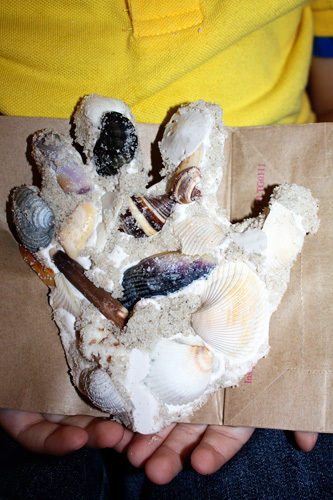 Then, I had a bowl of seashells on the table for the kids to dig through and the pressed the seashells they liked inside their handprint. 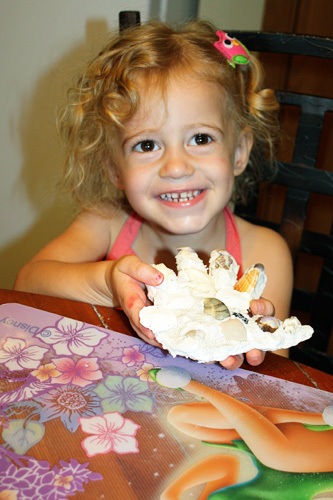 Of course, Autumn put seashells outside her handprint, too! 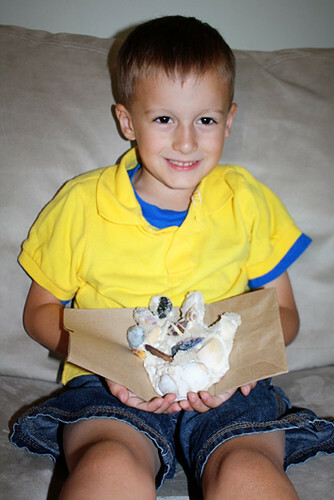 Then, Nathan started to… it doesn’t matter as long as they don’t mess up the handprints shape. 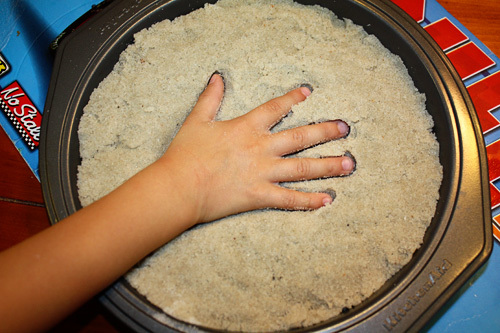 Make sure the shells back side is the part you press into the sand. 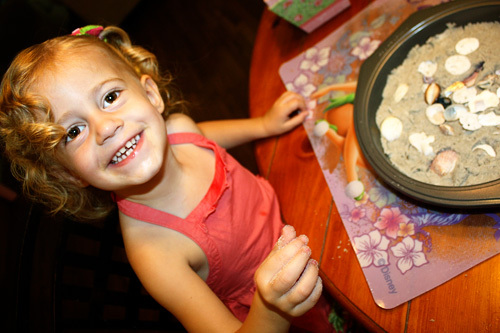 You can kind of see in this picture how Autumn covered her handprint with the shells. Look how excited she is!! They loved picking out different colors, textures and shapes. 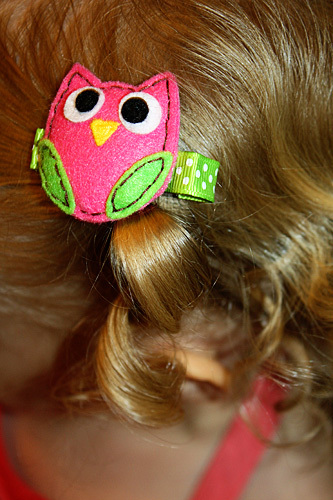 Isn’t this cute OWL barette adorable? Got this for Autumn when I went shopping on Main Street at a store called Lollitops. 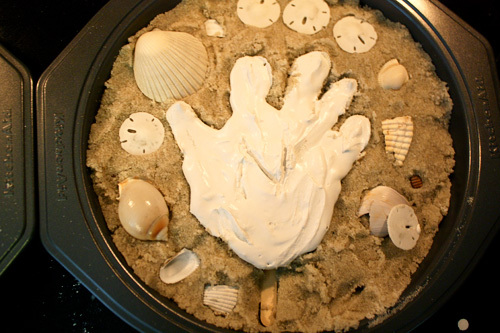 Then, get some plaster, mix it up (do not let the kids do this as it gets very warm as it sets) and pour into each handprint mold over the shells. Use a stick to even it out around the fingers. I put each kids initial on it so I wouldn’t get them mixed up. Finished result! Takes about an hour for it to set. Nathan was SO proud of his!! Here is a closeup. It was so neat to see how different his was from Autumns in his placement and color choices in the shells. 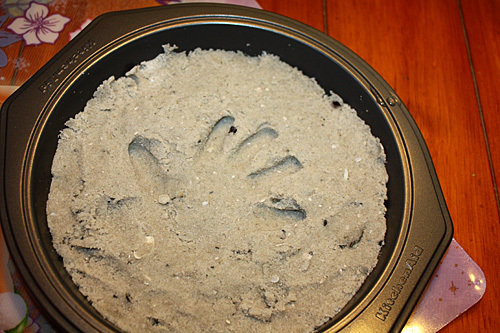 Autumn and her beach handprint. I am SO excited we did these, what a SPECIAL way to remember their first beach trips! !